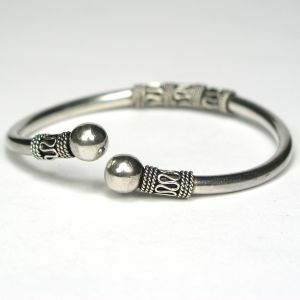 Description: This is a lovely bangle cuff in sterling silver by Nadri. 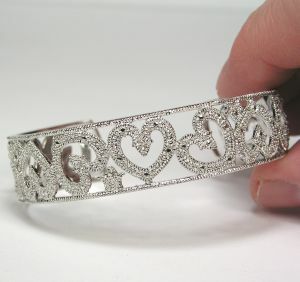 It is brand new and has a heart design. 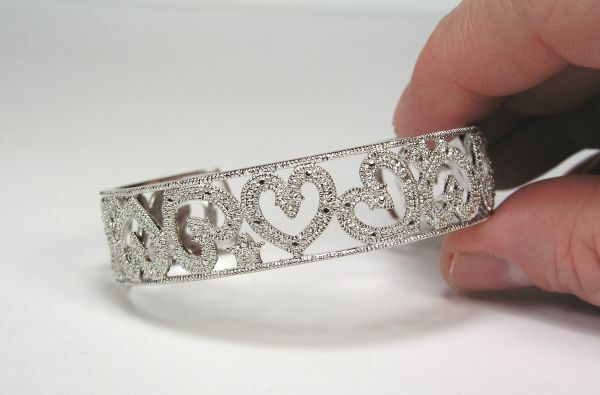 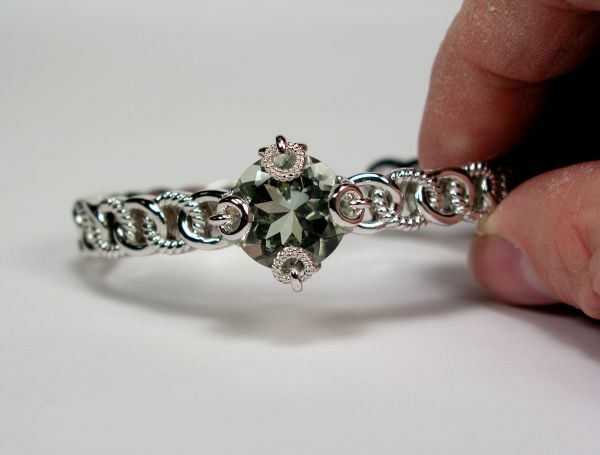 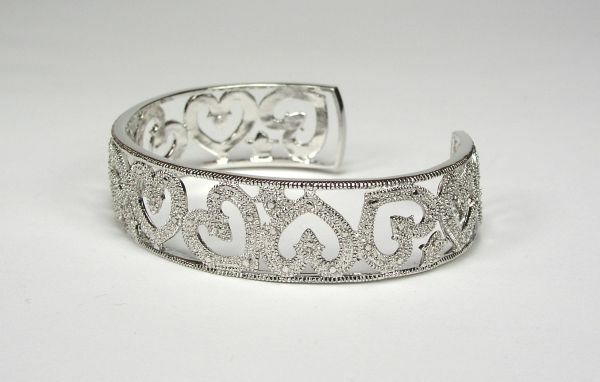 The cuff has a single accent diamond in the center heart. 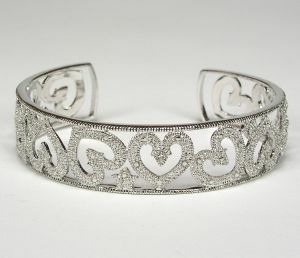 Perfect for anyone or any occasion and a great gift idea as well. 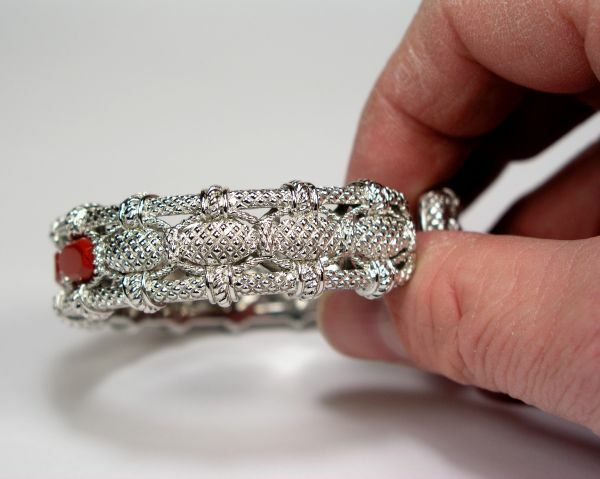 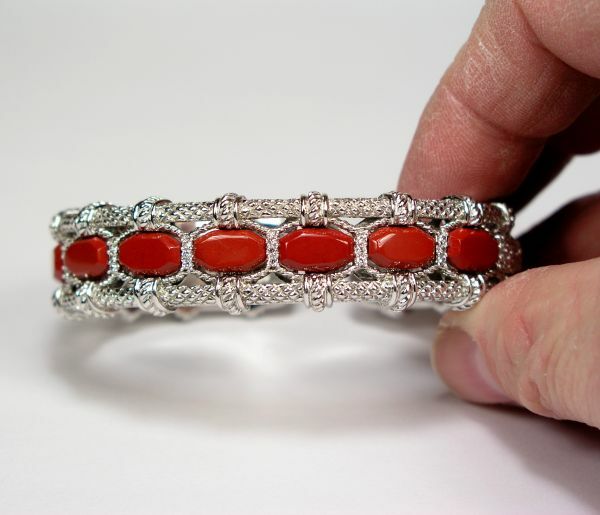 Description: This is a gorgeous Scott Kay cuff. 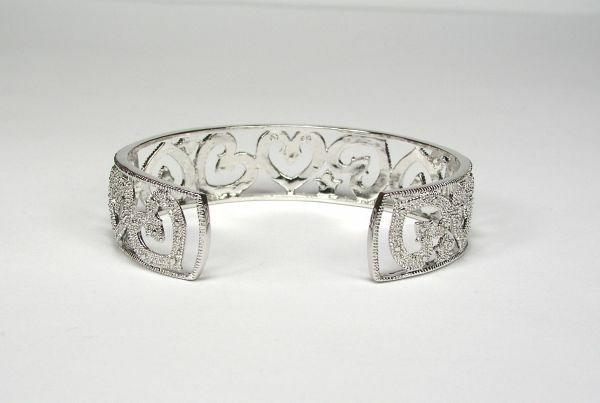 This cuff is sterling silver with an intricate design of recessed crosses. 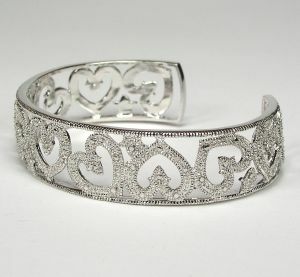 If you love unique gorgeous pieces of jewelry in your wardrobe do not miss out on these. 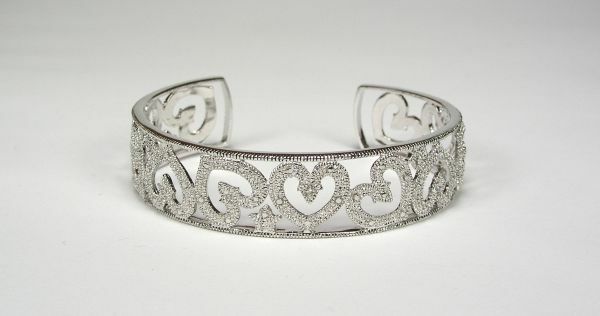 Perfect for anyone or any occasion. 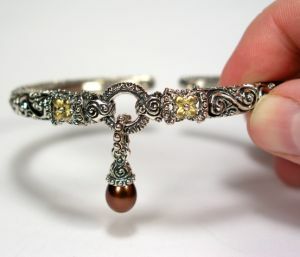 This is a wonderful value and a great gift idea as well. 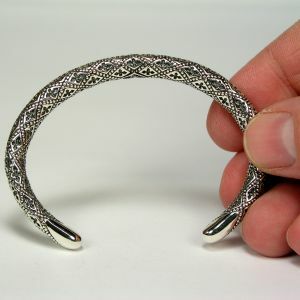 Description: This is a gorgeous Barbara Bixby cuff. 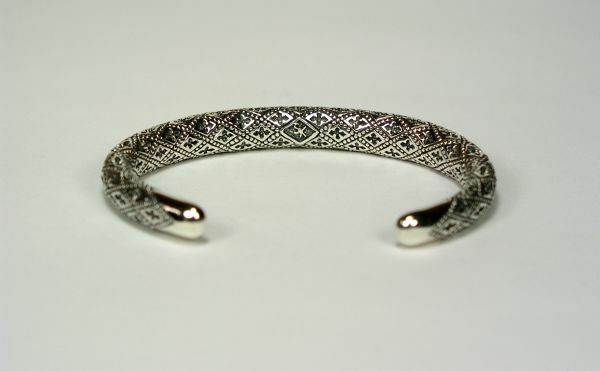 This cuff is sterling silver with 18k yellow gold accents. 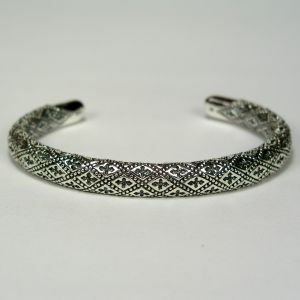 This cuff has a lovely Turquoise that measures 16 x 12 mm. 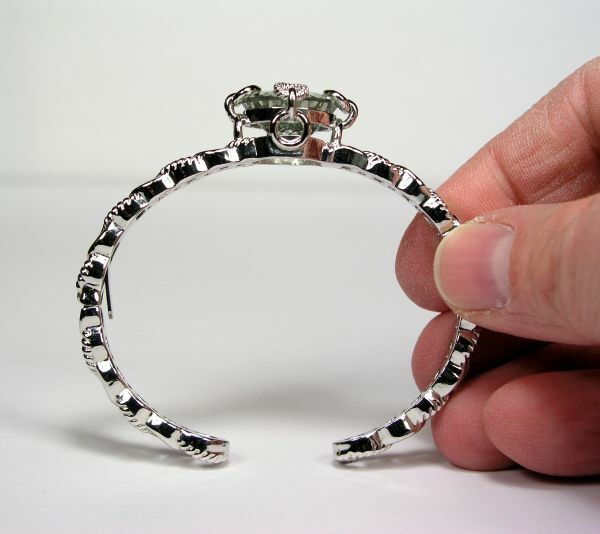 and 18k yellow gold flowers on each side of the Turquoise. 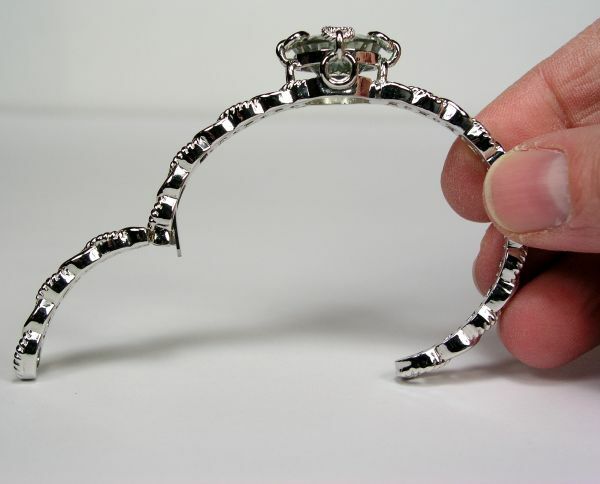 One side of the cuff snaps open so it is easy to wear. 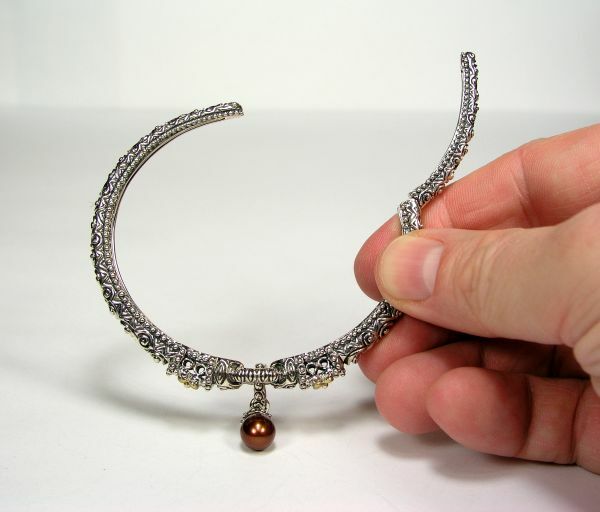 If you love unique gorgeous pieces of jewelry in your wardrobe do not miss out on these. 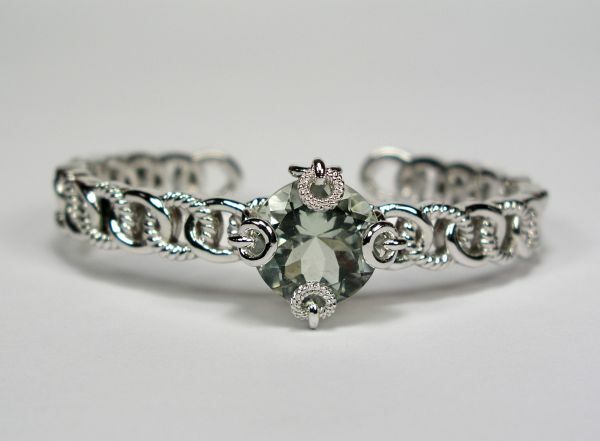 Perfect for anyone or any occasion. 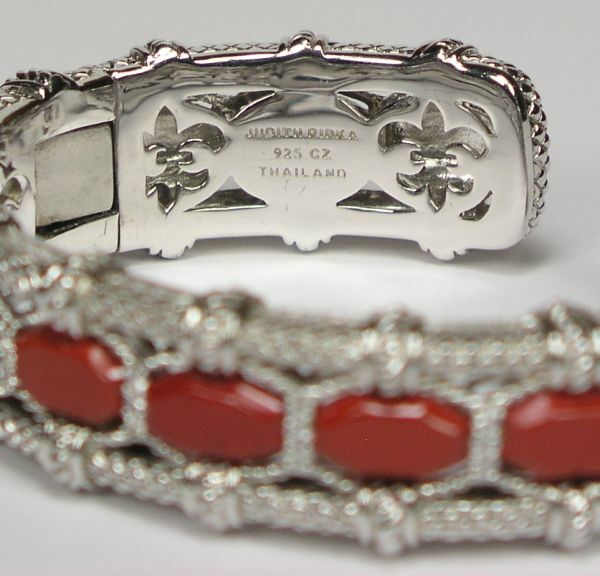 This is a wonderful value and a great gift idea as well. 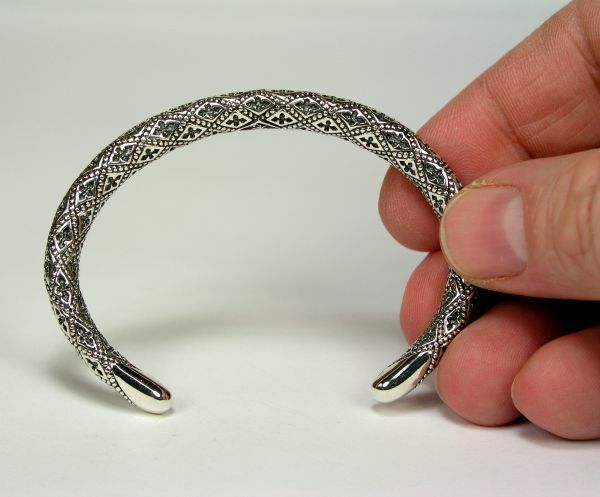 Description: This is a two-tone cuff by designer Barbara Bixby. 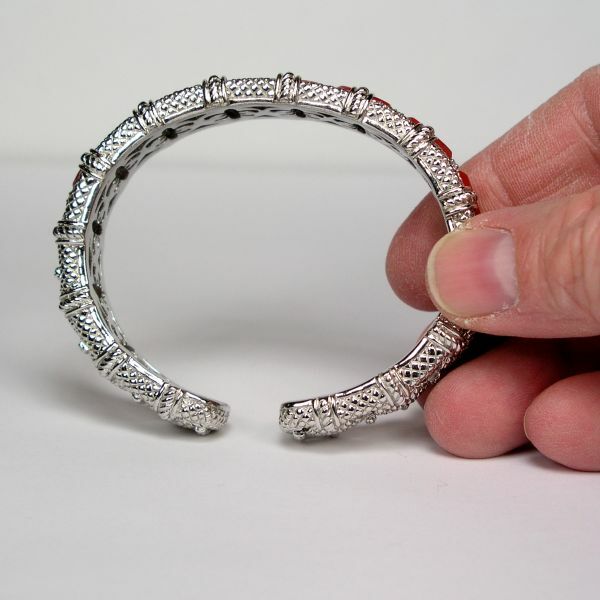 This is a hinged cuff that makes it easy to wear. 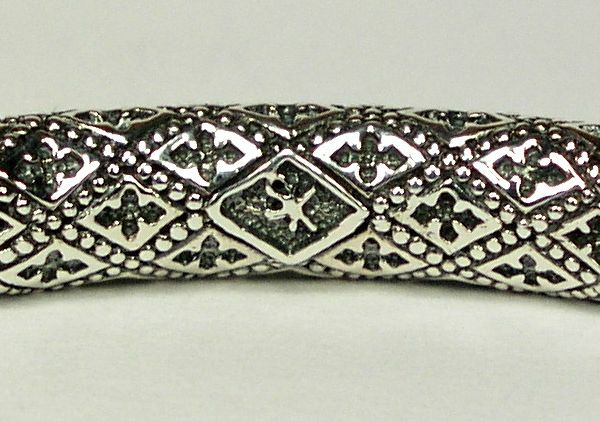 It has an elaborately textured and beaded scroll motif. 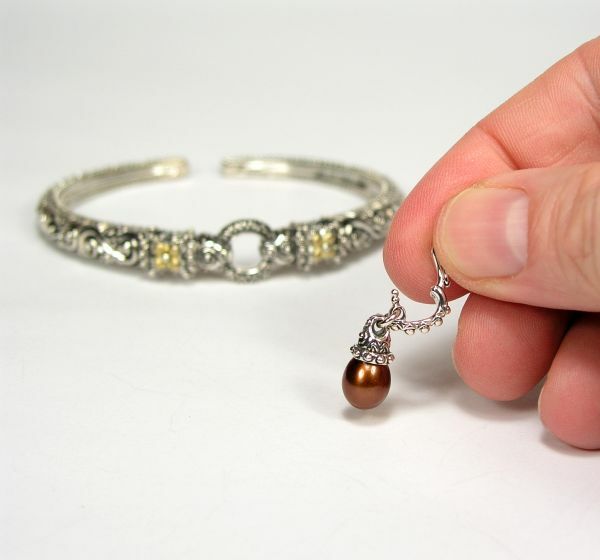 At the center is a dangling removable charm showcasing a drop-shaped Honora cultured freshwater Chocolate pearl. 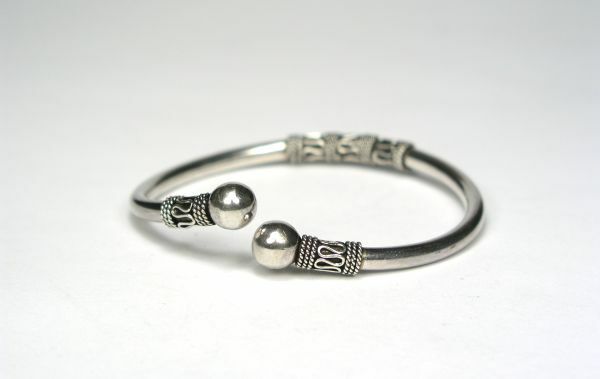 It sits pretty under a textured sterling silver cap and bail. 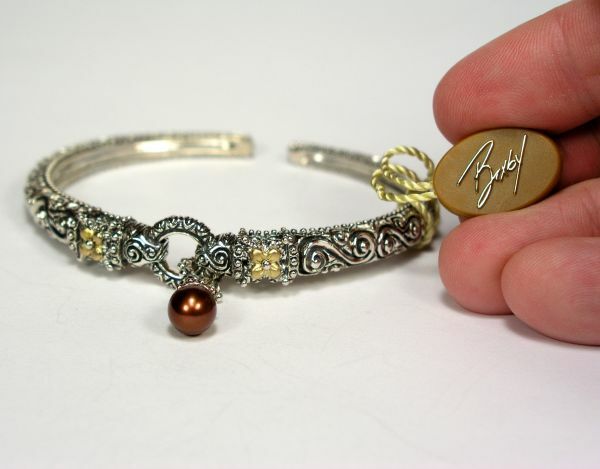 On either side of the pearl is Barbara Bixby's signature 18k yellow gold flowers. 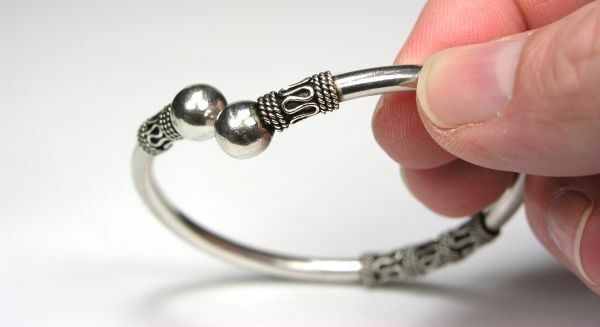 Because the charm is removable, you can enjoy a variety of stylish ways to wear the cuff. 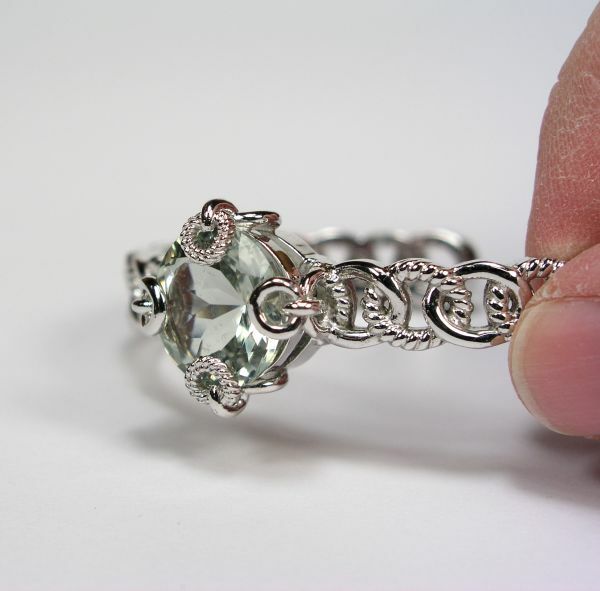 With the included charm; alone and charm-free; or change it up with other charms in your jewelry wardrobe. 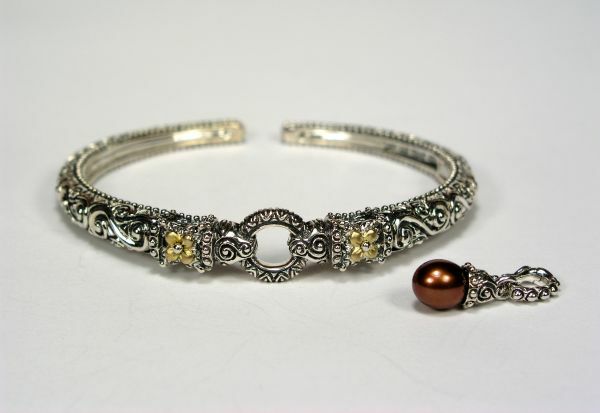 The perfect marriage of Honora luster and Bixby's elemental design instincts, this trend-topping bracelet is a distinctive choice that's versatile enough to suit all occasions. 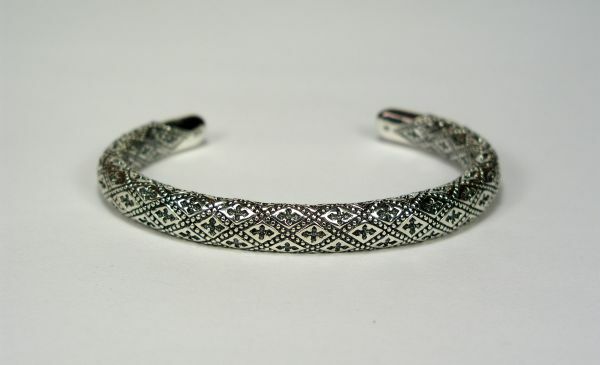 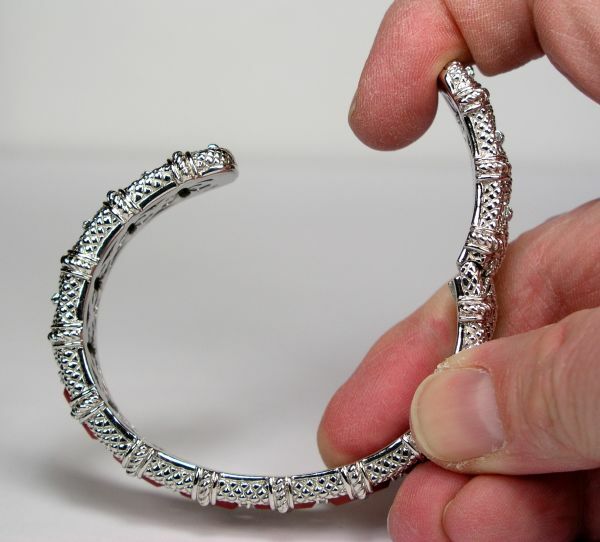 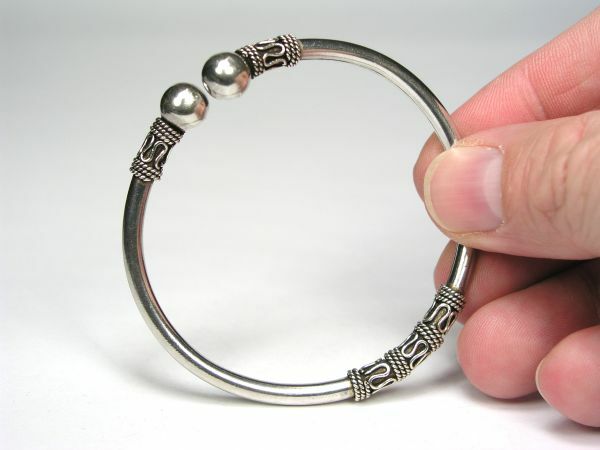 Description: This is an artisan handcrafted sterling silver bangle cuff from Bali. 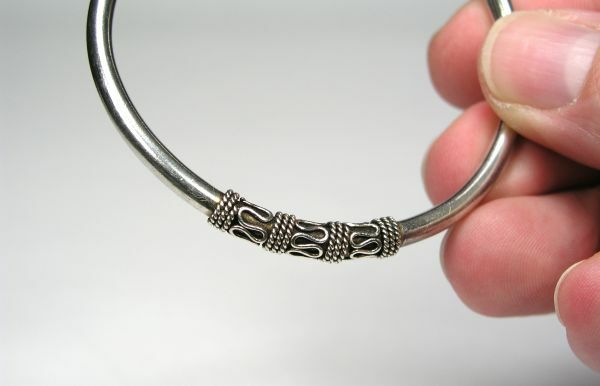 The bangle is flexible so it is easy to put on and off. 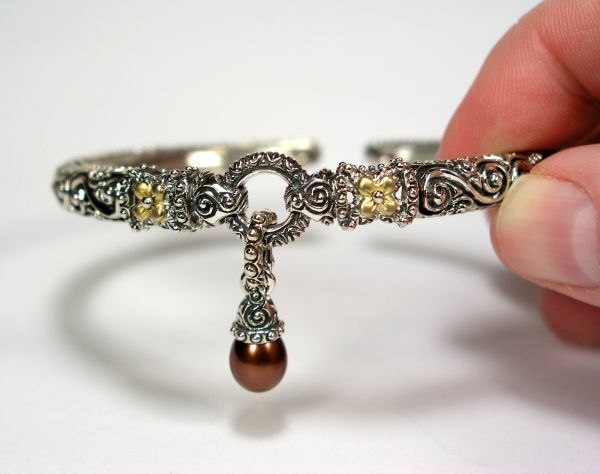 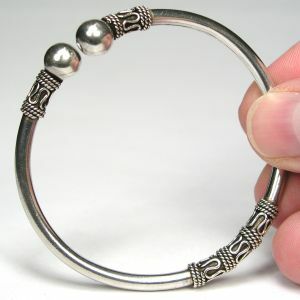 It has ball end caps with some traditional design with separate silver wires at the ends and in the center of the bangle. 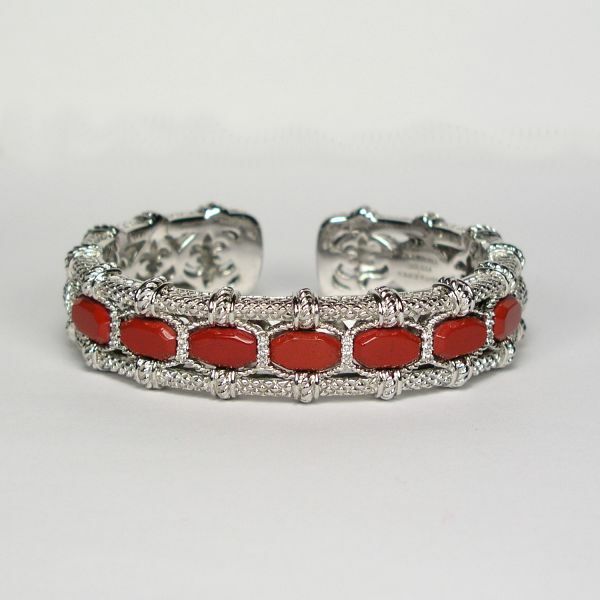 Perfect for anyone or any occasion and a great gift idea as well.